Hudson's Bay's One-Day Deal today is 50% off select Women's handbags! This includes Calvin Klein, Fossil, Franco Sarto and more! Items are priced $49.99-$99.99. 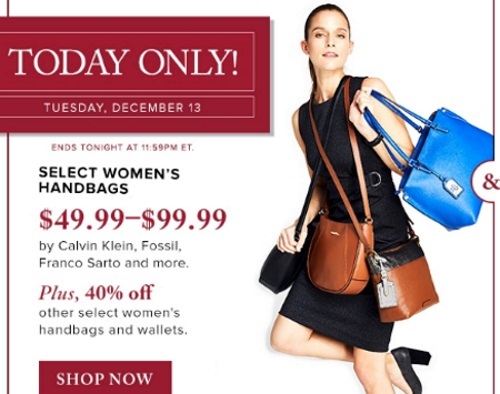 Also save 40% off other women's handbags and wallets. This offer is valid today only, Tuesday, December 13, 2016.